Health Minister Terrence Deyalsingh yesterday solicited private funds to build a new ministry headquarters at Queens Park East, Port-of-Spain, plus a new Central Block at Port of Spain General Hospital. 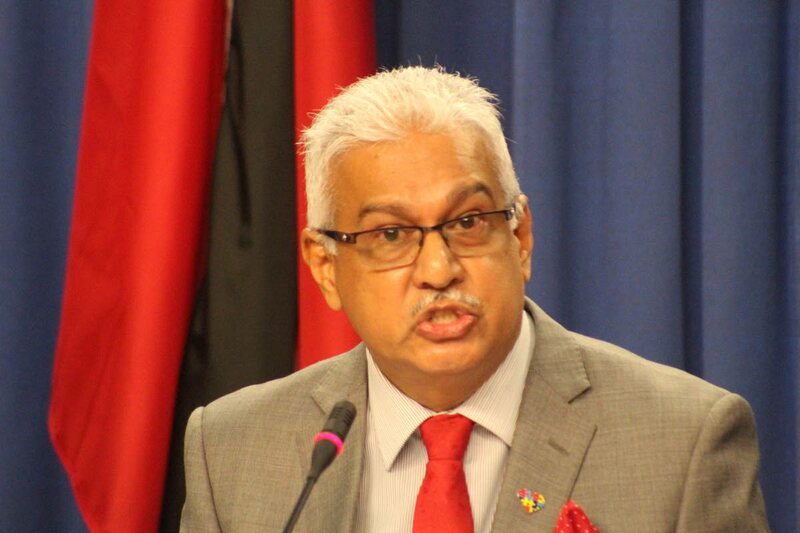 Speaking at the post-Cabinet news briefing at the Diplomatic Centre, St Ann’s, Deyalsingh said the former, to be built by a build, own, lease, transfer (BOLT) arrangement, is needed as the ministry had a quit notice from its present headquarters at Park Street, Port-of-Spain. For the hospital, Deyalsingh said, while the site was cleared of colonial-styled buildings, Udecott wold launch an open tender for a BOLT process to build a 540-bed facility to replace the 400-bed central block. He said it was a great investment opportunity for otherwise-idle funds held by local investors. Reply to "Deyalsingh seeks $ for new HQ, hospital"